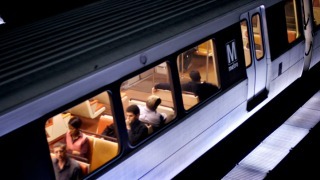 Commuters on five Metro lines experienced some delays Tuesday morning due to track and switch problems. An unscheduled track repair left trains on the Blue and Yellow lines single-tracking for about two hours. The problem was fixed just before 7 a.m., but Metro said riders would see residual delays in both directions. Metro crews discovered a cracked rail near the College Park station on the Green Line about 9 a.m., causing single-tracking for hours while repairs were made. Metro said it is not sure if the cold caused the cracked rail. A switch problem also caused delays on the Orange and Red lines. Trains on the Orange Line were single-tracking for about 20 minutes. Metro said normal service has resumed on both of those lines.